Single word books – yay or nay? Every baby I know has a range of single word non-fiction books in their home, often ranging from different categories like ‘transport’, ‘shapes’ and ‘bath time’. The brightly coloured pictures of simple objects are a staple of every young family’s bookshelf. But how many of them do you really need and are they helpful to language development? If you have read our previous blog post about ‘Which books are best?’, you already know that for younger children, books with colourful, realistic photographs are best for language learning. These books help to attract their attention and focus well and parents can have enjoy a great reading experience with their kids. Secondly, single word books are usually published as board books, making them virtually indestructible to the chewing and ripping baby or toddler. Hence their popularity for practical reasons as well. But, is there a time when single word non-fiction books not as beneficial for enriching language? Simplistic text and pictures give less for you and your child to talk about. Young children focus on concrete information and they can only talk about what they can see. Your first words user will probably label the pictures that they see. But between 12 and 18 months, they are ready to go beyond single words. They need to understand how these concepts and words sit in a much bigger context. For example, your child will be able to learn much more about a cow when the cow is in a paddock amongst other farm animals. For toddlers, you can reap the same benefit of teaching single words out of more complex books if you highlight, stress and show the words you are trying to help your child learn. If your child is already using first words, we need to help them understand how we combine words together to form phrases and sentences. It is unhelpful to know lots of single words of nouns, verbs or adjectives but not know how to string these together. In fact, a sign of a late talking toddler is one who struggles to move beyond first words. level It can be difficult for parents to model how to join words together with single word books as there is less for the child to look at and relate to. Don’t start donating all your single word books to the Lifeline book fest. Perhaps you can think about how to expand your book collection beyond single word books. Toddlers will start to understand and enjoy books with a simple story structure. Sequences of events help develop their understanding of cause and effect and foundational to understanding story structure – a key skill for literacy success in the early years at school. You can read more about how story structure develops and why it is important for school here. Keep an eye out on our Instagram feed as we regularly post book recommendations. For preschoolers, you can look at books with more complex story structure. There may be a number of complications in the story and the characters take multiple attempts to conquer it all. The perfect way to find great books for the preschool age group is our Little Birdie Books book boxes. We have done all the hard work for you by finding the most captivating and enriching picture books and have steered clear of ones that may be commonly on the bookshelves in many homes. 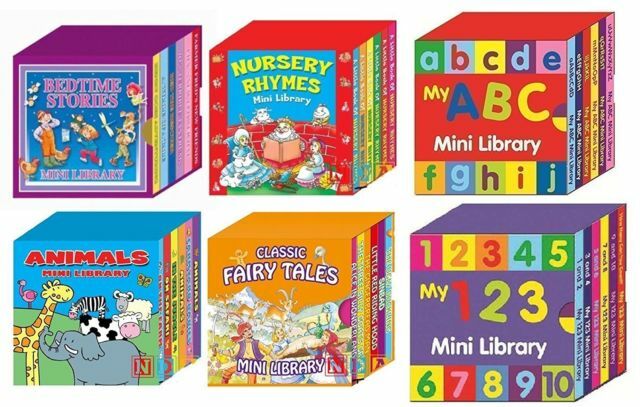 Check out all our book boxes and subscriptions on our SHOP page. Previous Previous post: Why are good speech and language skills important for children at school?